Let me just put it out there: I think Fran Costigan is a culinary genius. I’ve been in awe of her incredible baking knowledge ever since participating in her Vegan Baking Boot Camp Intensive training course in 2010. A classically trained pastry chef who went vegan more than 20 years ago, Fran is a true powerhouse who has dedicated years of her life to tweaking, testing, and analyzing the chemistry that makes a top-notch vegan dessert. 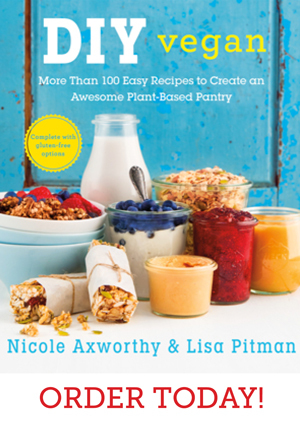 She has worked her way up to become a a sought-after instructor at the Natural Gourmet Institute, consultant, author of More Great Good Dairy-Free Desserts Naturally, and the expert of all things (vegan, fair-trade) chocolate. 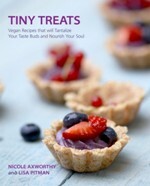 And then, she suddenly comes up with a missing piece in the vegan cookbook category. 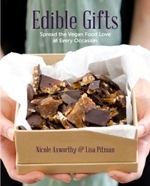 Her new book, Vegan Chocolate, features 120 better-than-ever vegan chocolate desserts. 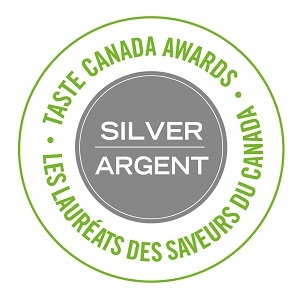 It is the work of a true expert. Some of the “showstoppers,” like the Bûche de Noël, Chocolate Hazelnut Six-Layer Cake and Opera Cake, are multi-step projects for special occasions (or anytime, if you live at my house) but there are also simple recipes, like Quick and Easy Homemade Hot Cocoa and Almost-Instant Chocolate Pudding, for those in need of a quick chocolate fix. All the recipes are vegan, some are gluten-free and some are raw, but in true Fran style, every single one is made with quality, easily sourced ingredients without dairy, eggs and white sugar. Fran is also known for her very detailed instructions, which may seem cumbersome but are needed in order to get perfect results every time. 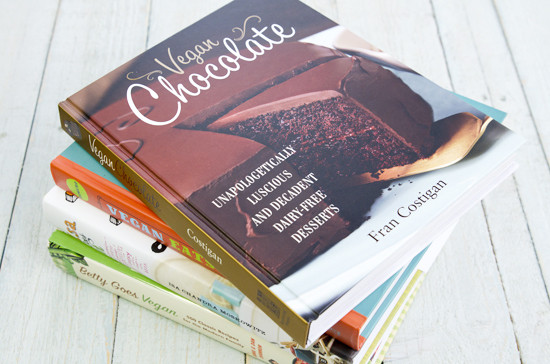 With a beautiful layout and full-colour photos by Kate Lewis throughout, Vegan Chocolate is a must-have for any cookbook collection. I was thrilled when I was asked to be a part of the select group of testers for this book, which made for a full summer of chocolatey fun. 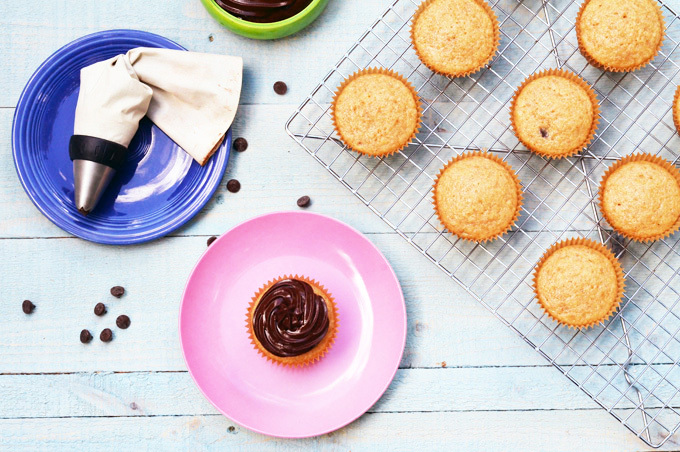 I was able to test many of the recipes, including the Graham Crackers and Vanilla Chocolate Chip Cupcakes with Creamy Chocolate Cupcake Frosting, among others. 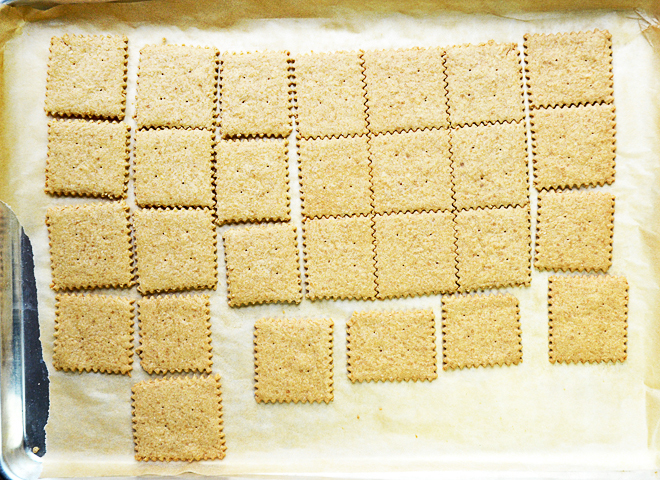 My advice: buy the book, and start with these authentic vegan graham crackers, and then use them to make the Moon Pies, S’mores and Magic Cookie Bars. What I didn’t try until I got the hardcover book in hand, however, is this incredible (and simple) Chocolate Espresso Chia and Coconut Pudding, which is a variation of the Chocolate Date and Coconut Pudding on page 189. 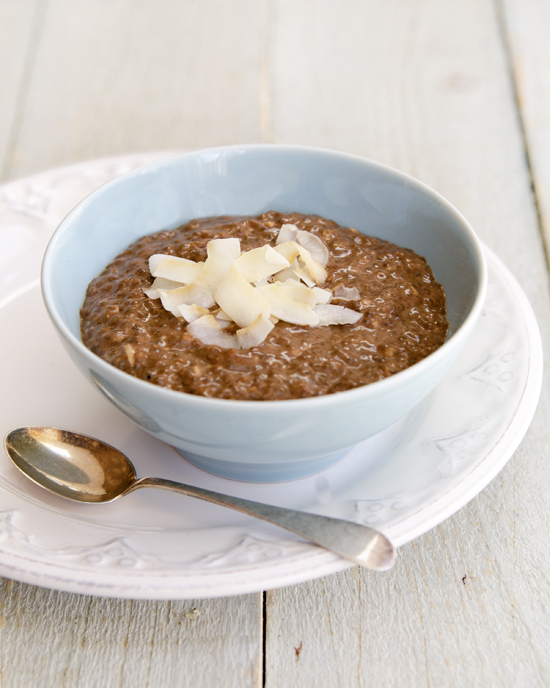 This bowl of chocolate goodness takes plain chia pudding to a whole new level, with bits of coconut and a hint of espresso that heightens the chocolate flavour. 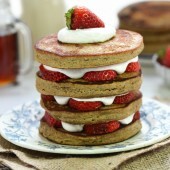 Thanks to Running Press for allowing me to share this recipe with you today. Put the dates in a small bowl. Pour the espresso over the dates and set aside for 15 minutes or until very soft. Mash the dates into the espresso as they soften. While the dates soak, puree 1/2 cup of the milk, 3 tablespoons of the coconut, the cocoa powder, and the salt in a blender. Add the remaining milk and the maple syrup and blend for 30 seconds. Add the dates and any soaking liquid and blend until mostly pureed (some small pieces of dates are fine). Pour the mixture into a 2-cup measure. Add enough additional milk to equal 2 cups, if necessary. Mix the chia seeds and the remaining 2 tablespoons of the coconut in a medium bowl. Pour the liquid ingredients over the chia and coconut and whisk vigorously. Repeat twice at 5-minute intervals. Wait 10 minutes and whisk again. Refrigerate the pudding for at least 6 hours or up to 2 days ahead. 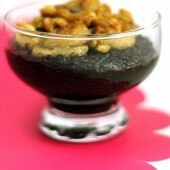 Whisk a few times, when you think of it, to prevent clumps of chia in the pudding. 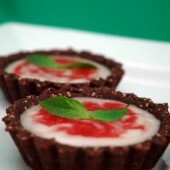 Whisk the pudding and serve in small bowls sprinkled with toasted coconut. The pudding can be refrigerated in a covered container for up to two days. Whisk before serving. 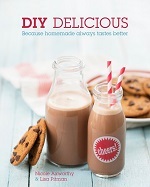 Recipe reprinted with permission from Vegan Chocolate ©2013 by Fran Costigan, Running Press.